If you have black toxic mold in your home you will probably suffer toxic symptoms. These symptoms are caused by the mycotoxins which black toxic mold produces. 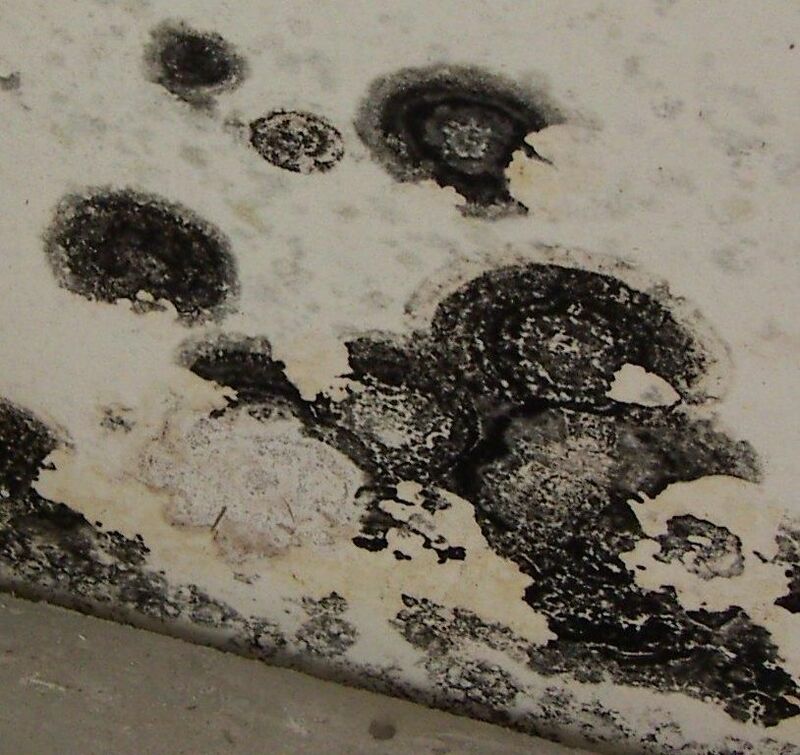 The main symptoms from black toxic mold include mental problems, breathing problems, damage to internal organs, vision problems and pain and discomfort. 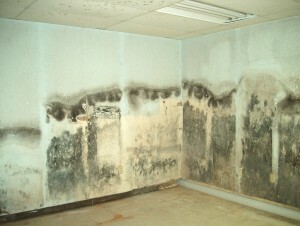 Black toxic mold damages the immune system. This can lead to a wide range of symptoms. How bad a person’s symptoms are depends on the amount of mycotoxins in their environment. 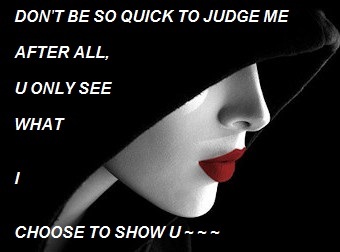 It also depends on how long the person was exposed. Not all of these signs are “for sure,” but if you see them — especially several of them — you should suspect a problem. Let’s learn more about them. If you notice any kind of odd smell, especially a musty one, there is likely a problem. The smell may be like mildew (think of wet clothes that have sat too long), basement-musty (but stronger), and once I had mold that smelled weirdly like a permanent marker. Find the source of any odd smell. It could be as simple as spoiled food that got tucked behind something or forgotten, or a gym bag of wet clothes left too long — these are obviously easy to fix! But if you notice an entire room has this sort of odd smell, or you smell something odd when you walk into your home, then you need to look for the reason immediately. Feeling sick lately, especially with coughing or sore throats? This can be an important sign if you haven’t been around anyone who is sick and the symptoms don’t seem to be going away. Mold can really take a lot out of you, as your body tries to fight it off. You may feel very sleepy and lack energy. You may have trouble getting up in the morning, even possibly feeling like you can’t open your eyes or like your body is very heavy. Unusual changes to your sleep habits and needs are definitely a sign something is wrong — so if it isn’t an environmental issue, you should see a professional for a medical evaluation! Mold can cause or worsen irritability, anxiety, or depression. If you are experiencing new or severe changes in your mood (especially with some of the other signs on this list), you may suspect mold. If mold is not an issue, then you should be evaluated for other medical issues, because sudden and severe changes are not normal and there is help. If there’s an area of your home that seems to often be wet — basements and bathrooms especially — that is a major warning sign. As I mentioned above, it doesn’t take long at all for mold to grow. So, if there is ongoing moisture, even for several days in the same area, you should expect mold to start growing. 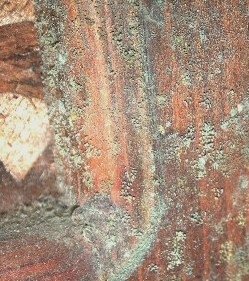 Obviously, finding visual evidence of mold is a problem — it’s confirmation there IS mold! Take this seriously no matter what surface it is on. If it is on clothing, paper, carpets, walls, toys, furniture — anything. If it is on a small or moveable object (paper, clothing, toys) and you can identify the source of mold easily, then it may not be an issue. If, however, mold is cropping up on several different surfaces seemingly randomly, there is likely a bigger source somewhere that is releasing large amounts of spores into the air, which is causing this growth. If you see mold on furniture, under a sink, on a wall, there is a problem. It does not matter how small it looks, or how contained it seems to be. If there is mold on part of the actual structure of your home, there is a source of water that is keeping it wet and allowing the mold growth. It may be quite a bit worse than it appears on the surface, too, as mold can burrow down deep into wood and drywall. 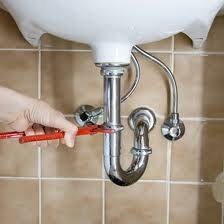 All bathrooms do have issues with mildew at times, just because they are often wet. Follow proper procedures to prevent this — keep shower curtains open after use to dry instead of folded up, keep shower doors open, keep the door open after you are done to allow moisture in the air to dissipate, wipe down surfaces prone to mildew, spray an essential-oil based mildew cleaner after showers, etc. 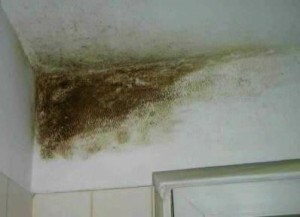 If your bathroom is often having mold/mildew issues despite proper cleaning, though, you may suspect a bigger problem. Everyone knows if you wash a load of laundry and leave it overnight (or for a day or two…) it’ll get musty-smelling. 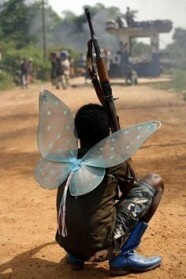 That’s pretty normal. But if you notice this happening after only a few hours, there’s a problem. It shouldn’t get musty so quickly. But, if there are a lot of mold spores floating around, it will. If some of these signs are making you feel uneasy, the best thing to do is a quick test. Most home improvement stores offer them, and you can even buy them online. The idea is that you take a dust sample from somewhere in your home where you suspect there is a problem using a special kit, then mail it off to a lab. They will send you a report on what types of mold are found in your home and what the counts are. Counts of penicillum/aspergillus under 100 are not typically a problem. Any amount of stachybotrys is not good. High counts are big red flag that you need to do further testing and call in professionals. Please note that although these kits are inexpensive, you’ll pay a bit more for the actual lab test. This is still far cheaper than a professional hygienist. The symptoms that black toxic mold causes can differ from person to person. A person who is around black toxic mold will suffer some of the above symptoms but probably not all of them. And another person will probably suffer a different selection of the above symptoms. People who have weaker immune systems will be worse affected by black toxic mold. 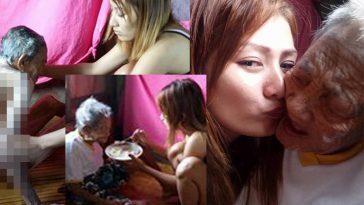 This means children, the elderly and sick people will usually have more severe symptoms. 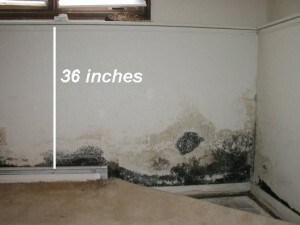 There is no real treatment or cure for black toxic mold symptoms. 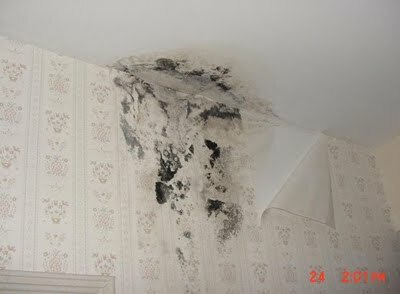 If you have symptoms from black toxic mold the only real solution is to fix the black toxic mold problem. Once a person is no longer around toxic black mold their symptoms should gradually decrease. 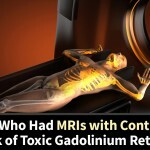 However some health problems can be long term or even permanent. The toxins which black toxic mold creates are what causes toxic symptoms. People living with black toxic mold usually breathe in the mycotoxins. However they can also ingest them or absorb them through their skin. When a person breathes in mycotoxins they can end up lodging in their lungs and creating breathing problems. Inhaling mycotoxins is much more harmful than ingesting them. Also the more mycotoxins a person is exposed to the worse their symptoms will be. The main type of mycotoxins that black toxic mold produces is called trithochecenes. These are some of the most toxic mycotoxins. 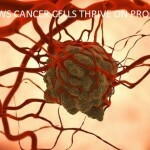 It is also suspected that trichothecenes can cause cancer. The majority of us find molds repulsive and quite gross. We don’t jump in excitement at the sight of it and we definitely don’t like it growing in our own homes. It can creep underneath the carpet and floor boards, snake its way into the walls, and even start destroying our foods. Molds can grow on just about anything, as long as moisture is present. This produces a problem for people because even the smallest of water damage can assist in the development of mold. Ultimately, it can affect the structural integrity of a home and cost hundreds of dollars in remediation depending on the extent of the damage. Water damage caused by flooding, sewage back-up, plumbing and appliance leaks, leaky air conditioners and water heaters, overflows from bathtubs and sinks, damp basements and attics, and roof leaks, is subject to mold and mildew. Learning about toxic mold and mildew will help homeowners become more aware about the potential dangers it generates and why it is important to prevent mold before it worsens. 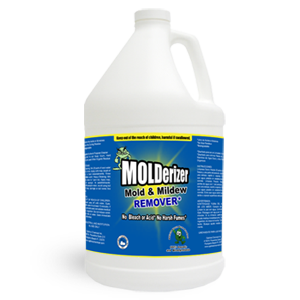 Molds are micro-organisms that play the role of nature’s decomposers. It is vital to the environment because it helps decay dead substances and deposits them back into the ecosystem for re-birth. It is also destructive because it can cause mold damage to homes and allergy issues for some individuals. Moisture is its life source and as long as it is present, it can take less than 48 hours for spores to grow. 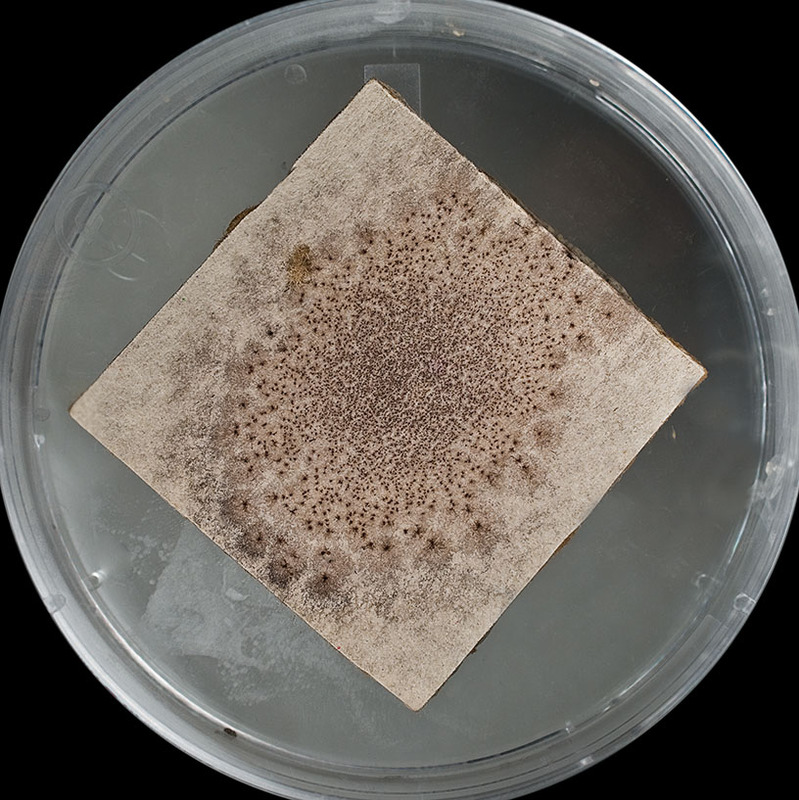 In order for mold to reproduce, it begins to produce spores which are microscopic organisms carried through the air and attach themselves onto moisture rich areas allowing the continuance of growth. They start destroying and eating away at the materials they latch onto and continue spreading from there. By not drying out the moisture as urgently as possible, the mold will only become exacerbated. 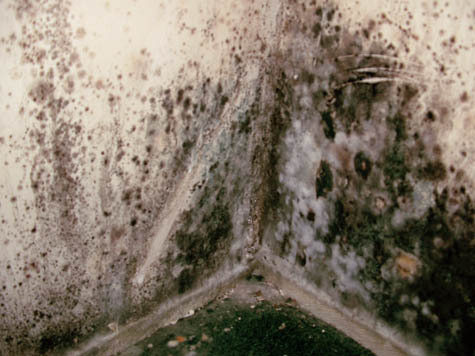 Black Toxic Mold is found in moist humid places where almost any organic material provides a food source. Not too much to be afraid of with this list, but when it comes to Stachybotrys and Aspergillus-niger (black toxic mold) things start to take turn for the worse. Especially when we discover a colony has set up house within our own home! When we look deep into the life of mold, we discover it has defined cell walls, no chlorophyll, and reproduces by spewing thousands of spores at a time into the environment. We know of about 100,000 species of fungi, leaving about 100,000 more still unknown. Any rotting organic matter is the food supply for fungi, which means we can’t live without their help in recycling dead animals and plant matter. By using our sense of smell and sight, we can initially suspect we have a mold problem. The familiar “musky” “earthy” “rich soil-like” aroma tells our genetic memory that we have run upon something from the fungi family. But if you see mold—commonly a dark, slimy, greenish-black color—in a dark moist area, you can be pretty sure you have toxic black mold. By removing any one of the four required elements, you remove the ability mold has for growth. Let’s take a look at each of these elements, and discover how to do battle with this abundant organism, called mold. These are a few recommended methods that will help get rid of mold in your home. Even though there is no real way to eliminate mold all together, these suggestions can help reduce or control how much mold growth resides within the walls of your home or building. Control moisture (reduce water activity). Repair any water leaks or moisture problems with flashing→ (metal barriers around fireplace [see photo at right], inlets to home, and throughout home construction where water or airflow requires control), walls, A/C units, and anywhere else moisture might gather. Keep home relative humiditybetween 30% and 60%. Vent bathrooms, laundry rooms, and other moisture rich places in the home. Use exhaust fans when cooking, dish washing, or cleaning. 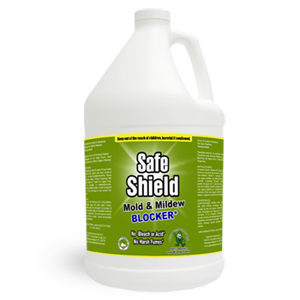 Clean and dry any damp or wet building materials or furnishings within 24 hours of use to prevent mold growth. Clean moldy surfaces with water and soap, be sure to dry them completely. 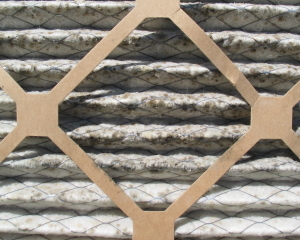 Replacing porous materials that have signs of mold may be required. Prevent condensation from forming around windowsills, exterior walls, pipes, fireplaces, roofing, and flooring (under sinks is a primary location to monitor for this). Spray a 2% to 5% bleach to water solution on mold inhabited areas. It is considered one of the most common outdoor molds. 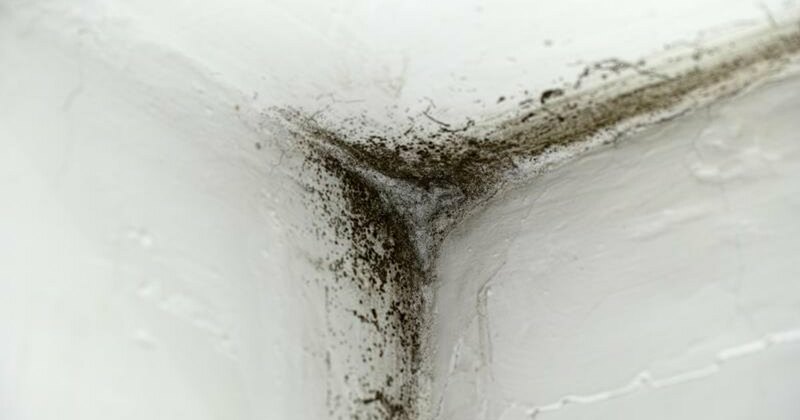 But, this mold does like to make its way into households though feeding on mostly damp areas like the shower or near leaky pipes underneath the sink. Alternaria needs minimal moisture to survive so it can also be found in duct-work and upholstery. It spreads quickly and in fact, quite easily. This mold is dark in color (black or grey) and can cause allergic reactions and asthma attacks in people. It is commonly found indoors and can cause serious allergic reactions, respiratory infections and more severely, inflammation and bleeding in the lungs. 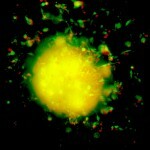 This mold is normally seen in clusters of green circles. It can grow on insulation and walls. It is often found outdoors but can latch itself onto wallpaper, painted surfaces, window frames, and caulking exposed to moisture. 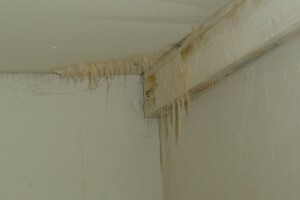 Bathrooms can be a popular area for this mold because of the constant moisture. 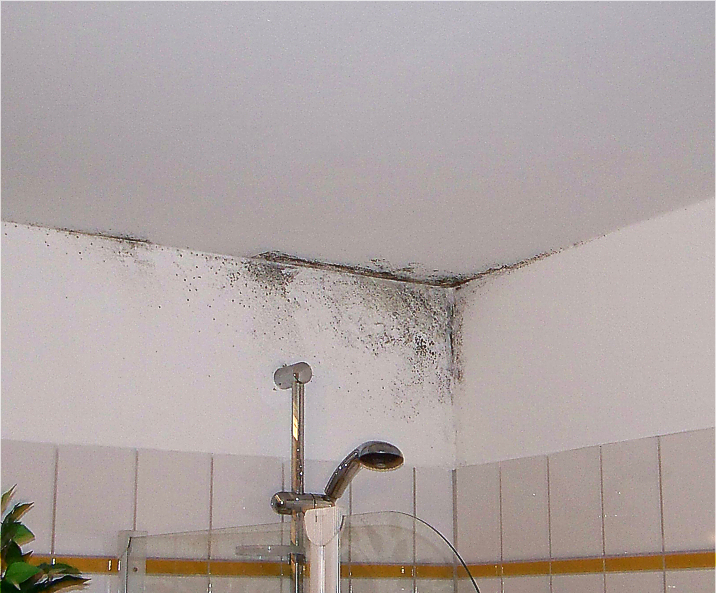 This mold is often seen as pink or black and can cause allergic reactions in many people. It grows in water damaged drywall areas. This mold has a musty odor and appears brown and covered in hair. It is a unique mold because it can grow in warm and cool temperatures. It is often found growing in homes and has a taste for carpets, cabinets, and floorboards. This mold can cause pulmonary and respiratory issues as well as infections to the skin and toenails. It can appear green, brown, grey or black. It is fast growing and can survive in cooler temperatures as well. It has been found growing on water damaged carpet and appears pale and lightly colored. 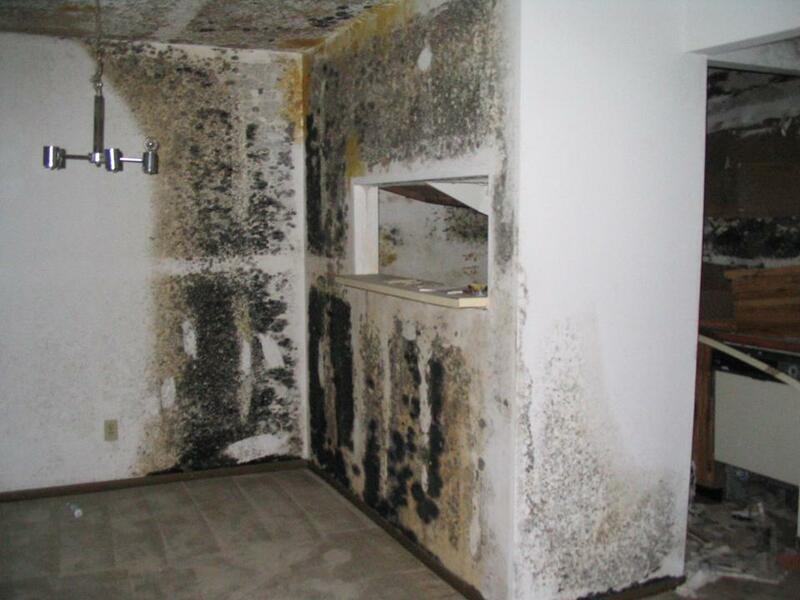 This mold can cause respiratory issues, allergic reactions, and asthma attacks in people. Common in soils these mucor molds are also often found along air conditioning systems and ducting. They are fast-growing, whitish to greyish, with usually thick growth. It is also one of the molds that causes the disease zygomycosis. It is found growing all over your home as long as there is water damage. It latches onto carpeting, inside walls, insulation, mattresses and upholstery. 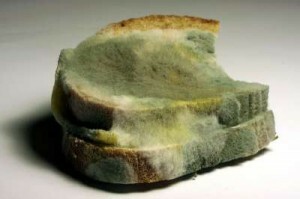 It is penicillin mold both on walls and on a forgotten sandwich. Commonly found in soil, food, grains, paint, carpet, wallpaper, interior fiberglass duct insulation, and rotting vegetation. Penicillin can cause hypersensitive pneumonitis, allergic alveolitis, and asthma in certain individuals. It spreads quickly, efficiently, and appears blue, green, or white. 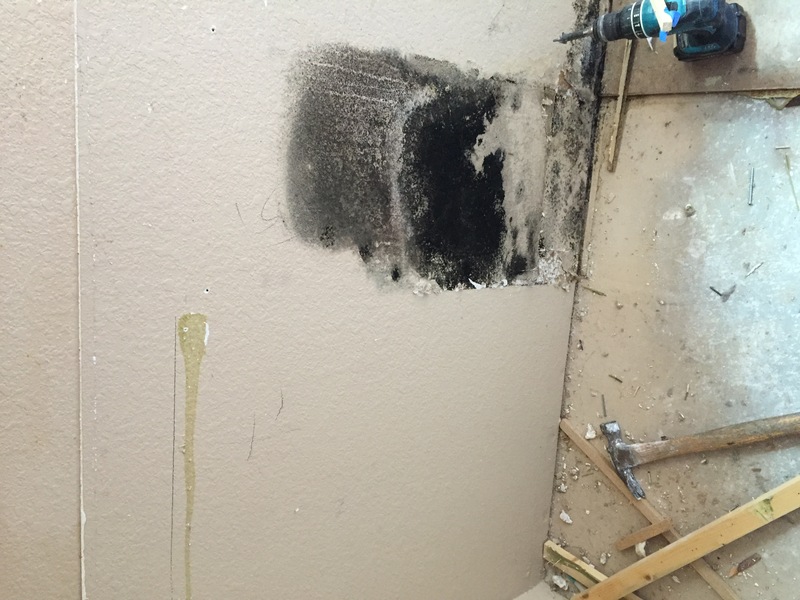 This mold causes allergic reactions, lung inflammation, and chronic sinus infections. If you have black toxic mold in your home you should not hesitate to organize getting it removed. Most people underestimate the danger of black toxic mold and wait to remove it. By the time they get it removed their health has often been badly damaged. Never try to remove black toxic mold yourself. Trying to remove black toxic mold will cause many mycotoxins to be released and cause an even bigger problem for your home. You should contact a professional black toxic mold removal service who knows how to properly remove black toxic mold and contain mycotoxins. If you are suffering symptoms from the black toxic mold you should move out of your home temporarily. Don’t move back in until the black toxic mold problem has been fixed. Mold Inspection –if you feel or see any of the black mold symptoms, you must promptly follow it up with an inspection. The inspection will confirm your suspicion. Not to mention, it will tell exactly where you should focus your mold remediation.But what are the signs that you must be always on the look out for?Well, generally, the health risks that it could bring are all black mold symptoms. Hence, if you’re always fatigued, coughing, sneezing and are suffering from fever, headaches and allergies, prepare to conduct an inspection as those could have been caused by mold exposure.For physical signs though, discoloration on surfaces and moldy smell are two of the things that could give you a hint of mold presence. Moisture triggers mold growth so your inspection must also cover areas near it. If you have experienced water damage in your home and are wondering whether or not mold growing, you may be best served by bringing in professional help. Reputable companies can eradicate most of the mold, and help you to better approach the unique mold problems your home may present. It is crucial to call a water damage specialist immediately after seeing signs of water damage. Inspecting areas frequently that are prone to water damage can prevent the growth of mold and a whole lot of money. When it come to getting rid of toxic black mold in your life, a professional assessment can prove to be worth its weight in gold.